If the cube doesn’t spin away Strombley’s sadness, he can’t imagine what will. Reports emerged late last week that a sad guy was pushing the Cube. Sources reported seeing LSA senior Jacob Strombley last Thursday at 8:57p.m. pushing the large art installation designed by Tony Rosenthal in 1968 into motion. Strombley caused the cube to revolve four and a half times before leaving the premises. 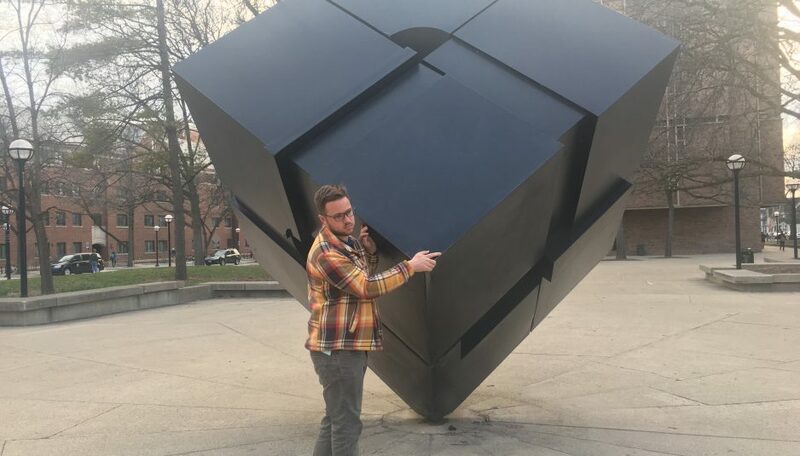 When informed of the existence of an identical sister Cube at Astor Place in New York City, Strombley sadly acknowledged that he one day hoped to push it.